With the DPI-8X and Dot3D Edit, DotProduct customers will soon be able to register and compare as-built scan data with Assemble project data on mobile devices on the jobsite. LAS VEGAS, NEVADA, 14 November 2017 – Today at Autodesk University 2017, DotProduct LLC and Assemble Systems, Inc. are announcing an exciting new partnership to bring in-field registration and direct comparison of CAD/BIM geometry to point cloud data on the DPI-8X handheld 3D scanner. The upcoming release of DotProduct’s Dot3D Edit will allow for direct input of federated models from Assemble Systems for validation, comparison, and registration with DotProduct point cloud data on Android or Windows. This new workflow will allow DPI-8X users to immediately register newly scanned data to Assemble CAD models on the tablet in the field. Deviations from the model can be analyzed on the jobsite and freshly aligned point cloud data can be sent back to Assemble in the correct 3D location. The Assemble format can incorporate a wide variety of CAD models, making this an ideal workflow for the construction industry among others. DotProduct and Assemble will be demonstrating the full workflow this week at Autodesk University booths C602 and C70. 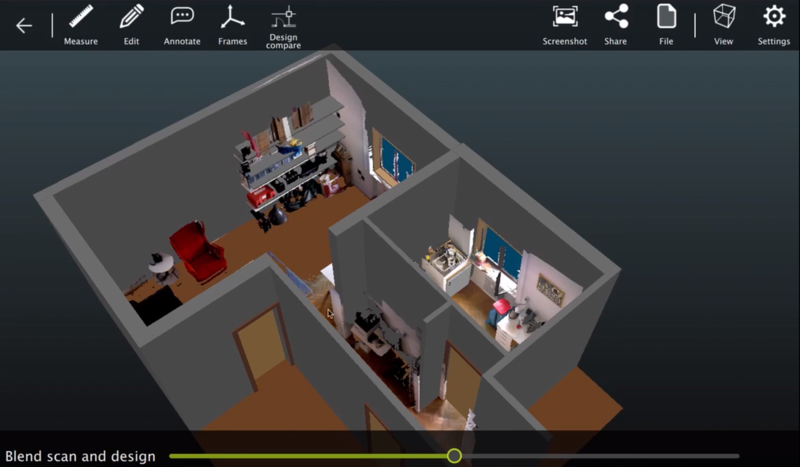 Assemble Systems with its headquarters in Boston provides a SaaS platform that consumes BIM models, drawings, and point clouds enabling construction professionals to condition, query, and connect the data to key workflows. These include bid management, estimating, project management, scheduling, site management and finance. Today, Assemble is used by over 150 companies including one fourth of the ENR 400 customer list and at over 800 construction offices and sites around the world.